A few years ago I was a guest at a convention, doing a panel about myself and lettering. As often happens, someone in the audience asked, "How can I learn more about doing my own lettering?" And for the first time I was able to give an answer I've always wanted to give: "Well, you can buy my book!" After many years in the business, it was gratifying to be asked to write the Lettering half of the above title, and of course, it gave me a chance to gather my knowledge and ideas about lettering and attempt to distill them into a form that others could learn from. I covered both hand-lettering and computer lettering, though with only half the book to work in, I had to keep it to basics for the most part. If YOU want to learn about lettering, I'd certainly suggest you start with the book. 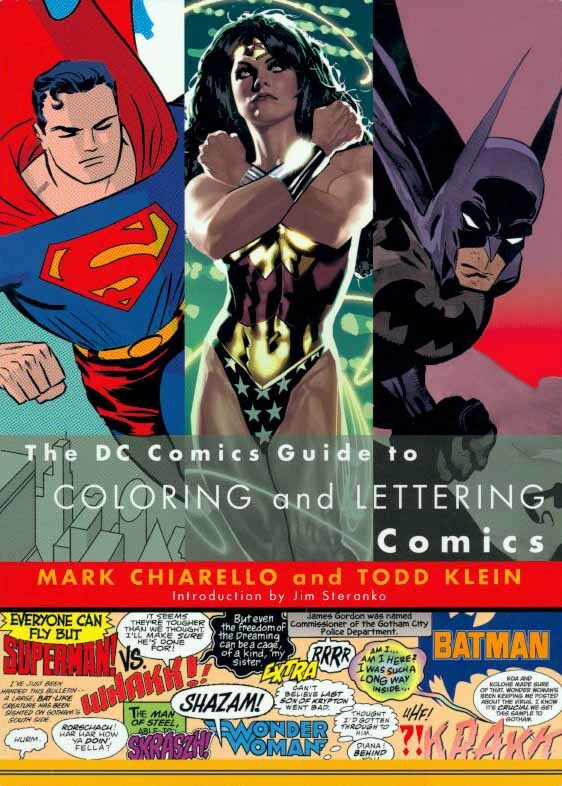 It's also quite helpful if you want to color your own comics. You can find out how to get it on the BUY STUFF section of this site. In the topics at right I have some basic How To information, much of which is also covered in the book. But I'm hoping this site will offer a place to answer further questions and expand on these topics. If you have questions, or would like more information about how to create your own lettering, logos or comics design work, email them to me using the CONTACT tab at the top of this page. I'll address as many as I can on my BLOG, or in the NEWS section of the site first, then add them to the topics here as appropriate. All text and images ©Todd Klein, except as noted. All rights reserved. Use the tabs at the top of the page to move to other areas.